Back again representing all things Wizard of Oz to celebrate Project Fairy Tale! If you want to learn more about this fun event head over to my intro post! Remember how I told you that we weren’t going to mention “The Wiz?” Well, add Return to Oz to the pile of retellings that we won’t be associating with the perfection that is The Wizard of Oz. I remember watching this movie when I was younger and I always felt as if I should enjoy it because it was somehow related to WoO and I was supposed to love all things associated with my beloved story! Now, years later, I can tell you with not an ounce of guilt that if I never see Return to Oz again, things will be a-okay. Dorothy won’t stop talking about Oz and it’s inhabitants so Aunt Em decides that the best thing for her is a good dose of shock therapy. She drops her off at a ridiculously creepy hospital (read: asylum) to get some shock therapy. Don’t worry, she promises that she will return in the morning with Toto to bring Dorothy home…instead, a storm erupts in Kansas and the hospital is struck by lightning, making the power go out right as The Nome King Doctor Worley is about to flip the switch for Dorothy’s “therapy.” A random patient helps Dorothy escape her bonds and they run away, jumping into a river to escape Mombi Nurse Wilson. Dorothy wakes up in Oz with her chicken Billina – still not sure how the chicken ended up there but let’s go with it – and they start exploring the land. Dorothy steals finds some lunch pails hanging on a tree and brings about the wrath of The Wheelers, (these are creepy men with wheels for hands and feet.) Thankfully she happens upon a robot man named Tik-Tok who uses his special moves to beat upon those Wheelers and get Dorothy to the castle of Mombi. Turns out Mombi is well, a witch. She isn’t just any witch though, she is a witch who steals the heads off of beautiful girls, keeps them on shelves and changes them much as one would change her dress for dinner. Mombi, of course, locks Dorothy away, but not before telling her that she is going to let her age into a unique beauty and then SURPRISE steal her head. Lucky for Dorothy (again) she rooms up with a nice..um…being…named Jack Pumpkinhead. He tells her that Mombi has some special powder that will bring things to life so little Dorothy decides to make a flying contraption out of a couch and a Gump Head. She then escapes the room, steals the key and potion and Jack, Tik-Tok, Dorothy and Billina escape. Unfortunately they land in the land of The Nome King and he takes them underground and tells them that he will let them go free if they can pass a test. The test is that each will walk into the next room filled with knickknacks and find an item that is actually one of their friends, enchanted. It’s no surprise that Dorothy succeeds which INFURIATES The Nome King. He then becomes a very big and very dark and scary rock man but he is defeated because Billina lays an egg (which just happen to be POISON to gnomes) in his mouth, and the crew escapes. There is a little parade and Ozma reappears, she was the random hospital patient from Kansas, and Dorothy goes home. Toto finds her laying near the river and Aunt Em tells her that when the lightning struck the hospital it went up in flames and everyone escaped except for Dr. Worley. Dorothy and Aunt Em go back home and Ozma appears to Dorothy in her mirror, letting her know that she can visit Oz whenever she wishes. Lucky gal! 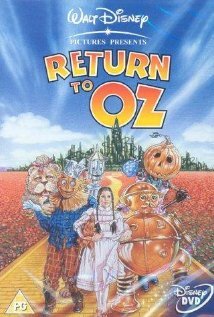 This film was described as an unofficial sequel to The Wizard of Oz and it is loosely based on the second and third Wizard of Oz books, The Marvelous Land of Oz and Ozma of Oz, which was my favorite Wizard of Oz novel. I suppose it is because Ozma of Oz is my favorite that I really loathed this movie. I am not one of those judgy people, but the fact that this movie was made my Disney and rated PG FLOORED me. There is no way that a child would enjoy this movie without being scared and confused and quite frankly, bored. In the book it is not Mombi but Princess Langwidere from the Land of Ev who has her array of heads and I can admit that theme is a tad old for the intended audience but I think it is the dark setting and play on special effects and LOUD NOISES that made me think the film is inappropriate for young children. I was worried that I was just biased because nothing can compare to the original Wizard of Oz but I really loved Tin Man (which I will be reviewing for you next week) so I feel a little better disliking this one..I do have to say that it definitely has a cult following so it clearly isn’t hated by all and therefore you may not dislike it as much as I did so maybe give it a try! On my end, I will stick to what I know and love and steer clear of this adaptation in the future! 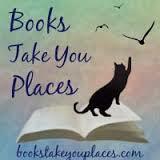 This entry was posted in Project Fairy Tale and tagged movie, project fairy tale, retellings, The Wizard of Oz. Bookmark the permalink. It is a really strange movie! I have fondness for it but I still think it’s so dark in comparison to the original! I tried looking at it as a completely different entity and I just couldn’t! It’s totally my bias. I actually LOVE this movie.. dare i say i even like it more than the original. its darker ( and your right, I don’t think its for a PG audience ) but in my defense i have not read any of the books, so i can understand that you weren’t a fan because they hacked up the books and put pieces of it into the movie.. i probably wouldn’t like it if I had read the books.. I do not own the original, but i do own “Return to Oz” and i also own “Tin Man” D.G is my home girl 🙂 thanks for your post! I didn’t even know that there were more books to the wizard of oz! I will have to check it out, sounds awesome! Can’t wait to review Tin Man next week, I ADORED it. RIGHT!? I watched this movie as an adult and it scared me hahaha. I forgot for a long time how exactly the movie went (until I re-watched it) but I always remembered those damn HEADS!! LOL, I absolutely love this movie as well. (and I also don’t mind The Wiz, though I think that has to do more with my mom and older sister loving it) I own this movie on DVD and I’ve probably watched it at least 50 times over the years. As kids, my siblings and I were so, so scared of the wheelers and Princess Mombi but that was one of the best parts about it! My family bought me a green glass prism/paperweight-type thing (It’s actually an old-school limelight from a ship) for Christmas. I keep it on my bedside table and sometimes, SOMETIMES, I put my hand on it and say, “OZ!” You know, just in case it might turn into one of my friends. HAHAHA this made my whole day.